Here I am with a brand new post to share with you all lovely gals. 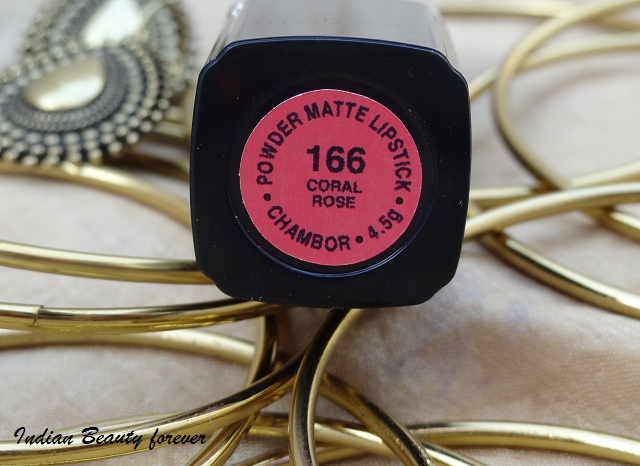 Today I’ll be reviewing one of my much loved matte lipsticks and it’s Chambor Powder Matte Lipstick in the shade Coral Rose. I heard a lot of good things about this lipstick so; I got this lipstick a month ago when I went for shopping with my mom. I was very keen that I wanted a light colored daily wear shade from this range so tried out 2-3 shades and finalized this one. 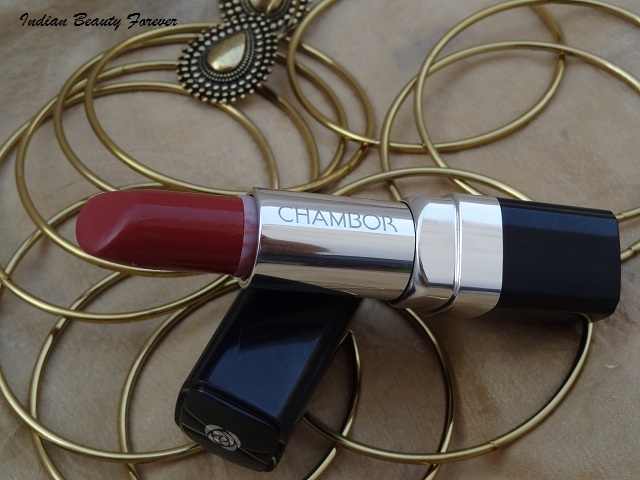 Chambor Powder Matte Lipstick comes in 15+ beautiful shades! Packaging: It comes in a black colored cover and the lipstick comes in a black body with a black cap (chamber logo printed), I found the cap quite loose and it needs to be kept with precaution while traveling. 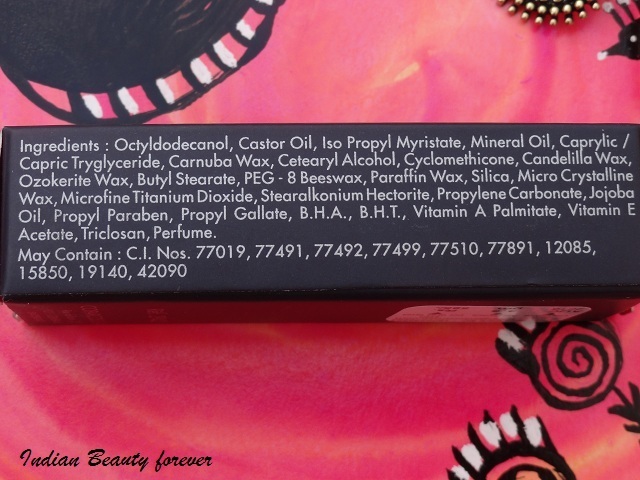 My experience with the Product: Few months back I started my hunt for bright lipsticks as Sonam Kapoor & Deepika Padukone inspired me a lot to get some of Red, Orange, and Fuchsia but after few months I found only bright lip colors in my vanity, not a single light shade!!! That day I decided that I need to get some light & sober shades also for casual day out and this was my first less bright shade; it is neither too light nor too bright. It is a brown based pink color which would suit every Indian skin tone perfectly. I first wore this lipstick in this winter while going for a day shopping, it took me around 2 hours to go back home and when I saw my lipstick it faded & settled into fine lines. I got so upset that day because after spending almost Rs.600 you tend to expect a lot from the product but later on I thought of finding reasons behind that epic fail. I didn’t know what went wrong so started recalling the whole day and that day I neither had water nor meal for those 2 hours!!!! Then I recalled that I applied lip balm (due to winters) underneath and immediately applied Chambor Matte Lipstick over it so, this was the mistake I committed. 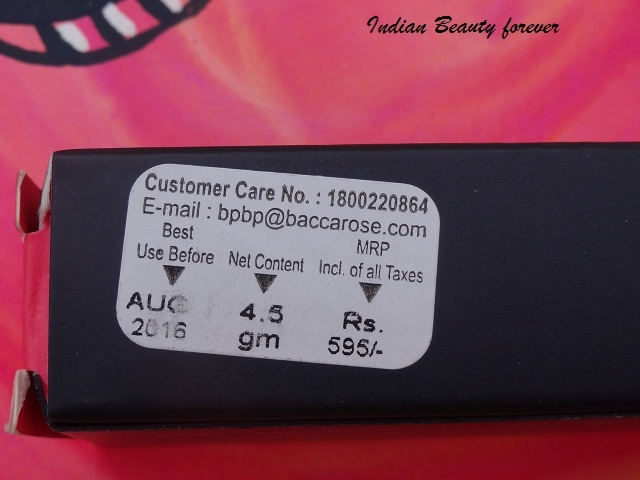 After few days I had to go for shopping and purposely I applied this shade again but this time followed some tips (tips below) and it was intact!! Never apply matte lipstick over freshly applied lip balm, always apply lip balm at least 15 minutes before you apply any matte lipstick and should wipe out the excess lip balm before applying it. You can apply matching lip liner underneath if you want your shade to last long. After applying the lipstick soak it with the tissue paper and reapply the same color. 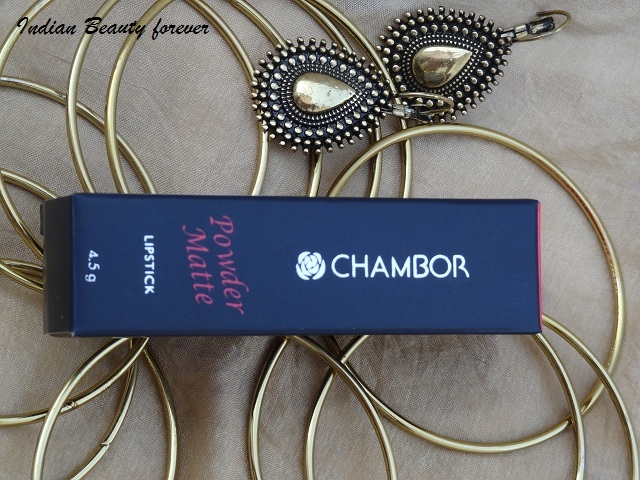 I may not be sounding very positive for this lipstick range but trust me I love Chambor Powder Matte Range and this range comes in so many beautiful colors that one can’t resist buying them, it’s just sometimes people go wrong with the usage of the products and same happened to me but I learned from my mistake. 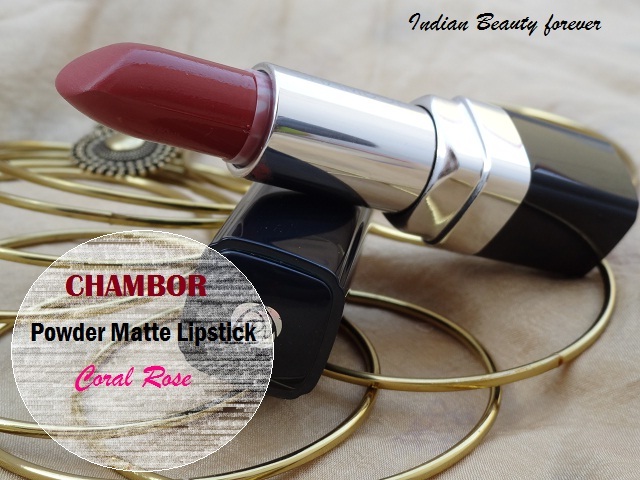 Product Quality & Texture: Chambor Powder Matte Lipsticks come with a mild flavored fragrance and this lipstick has a great quality but due to its matte texture it doesn’t gives very creamy & smooth stroke but it’s not hard to use either. 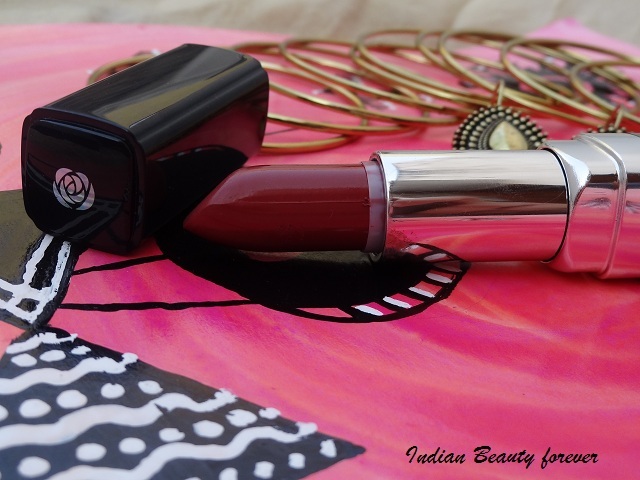 When it comes to matte lipsticks I personally feel that Lakme 9to5 lipsticks are very smooth on the lips as compared to the Chambor ones. 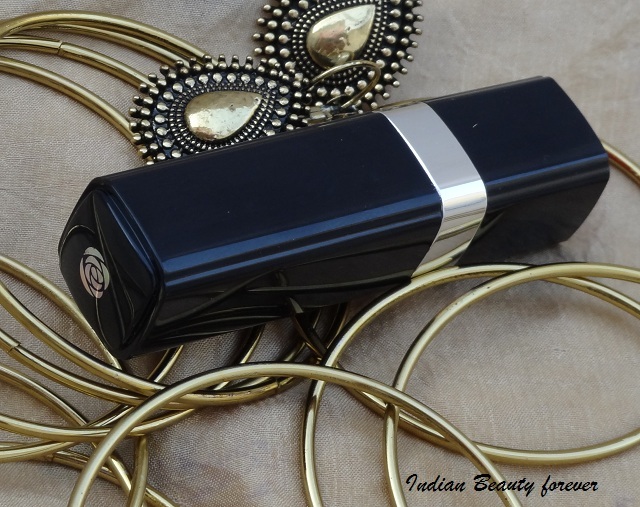 Lipstick does not come with air tight cap so it’s difficult to carry in purse. Does not give very smooth strokes. 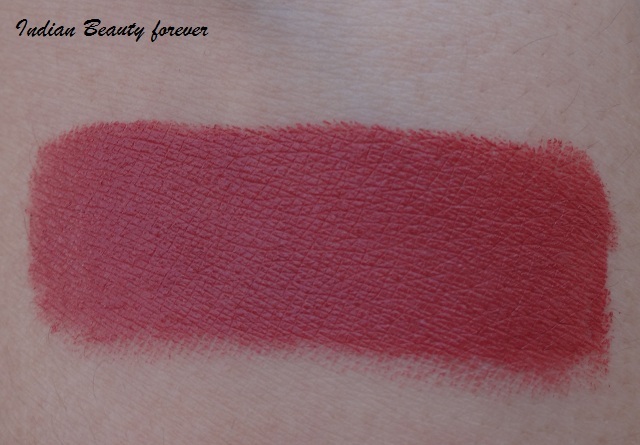 Final Take: On the wrapping note I would say it’s a beautiful shade with a great texture, formula and well pigmented. This shade gives a very soft look and life to face. 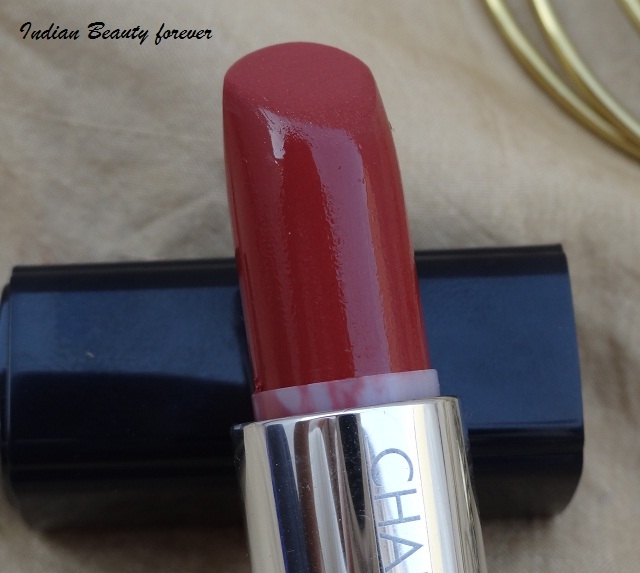 I can try out some more shades from this range and would like to get some of the Chambor lip glosses too. Recommend to all, if the price doesn’t bother you.